* WOW ! 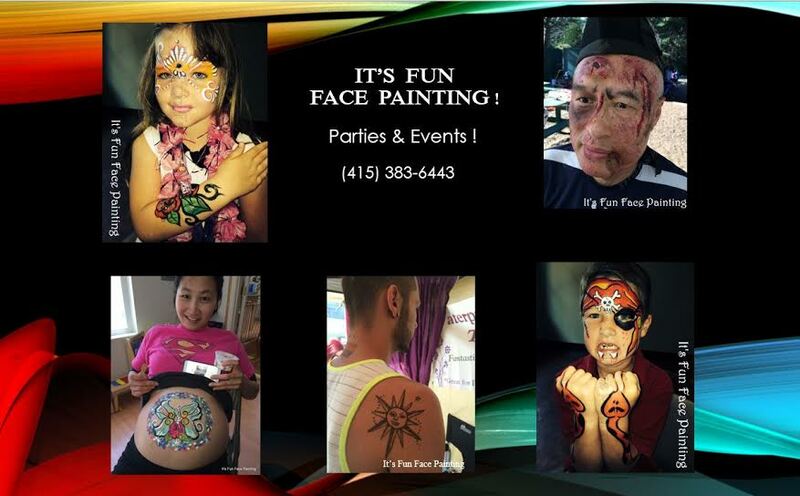 * From Delicate Designs to Bold Monsters IT’S FUN FACE PAINTING brings that extra sparkle that can turn your good event experience into a great one! ► Amazing Art at Affordable Rates Half Face & Full Masks; Cheek, Hand, Small Artworks. Glitter Tattoos, Contemporary Henna, Wedding/Prom Design Artist at your event! ► Entertaining and Engaging Live Art for Private Parties, Festivals & Other Special Events. * If you have a particular event theme (or) holiday in mind, please let us know. Often our selection of artwork choices can be customized to tie-in and enhance your event’s theme. BRANDED /LOGO – Custom Ordered Logos that can be done in Paint, or as Glitter Tattoos. GLITTER TATTOOS – Body art that Lasts 3-6 days with care, Waterproof , Super Sparkle! * Many of these items can be a stand alone service or combined for an additional fee. Hire your Face Painter Today ! This artist uses professional cosmetic grade face paints ( removable with soap & water), talent & imagination to bring smiles to the faces of your guests. Explore the world with a taste of the ancient art of Henna, music,food & more. Come join us in the Kids Zone for the 41st Ala Carte & Art Festival. A Celebration of Art, Food, Music & Family Fun. Mountainview, CA 10-6 May 6 & 7th. 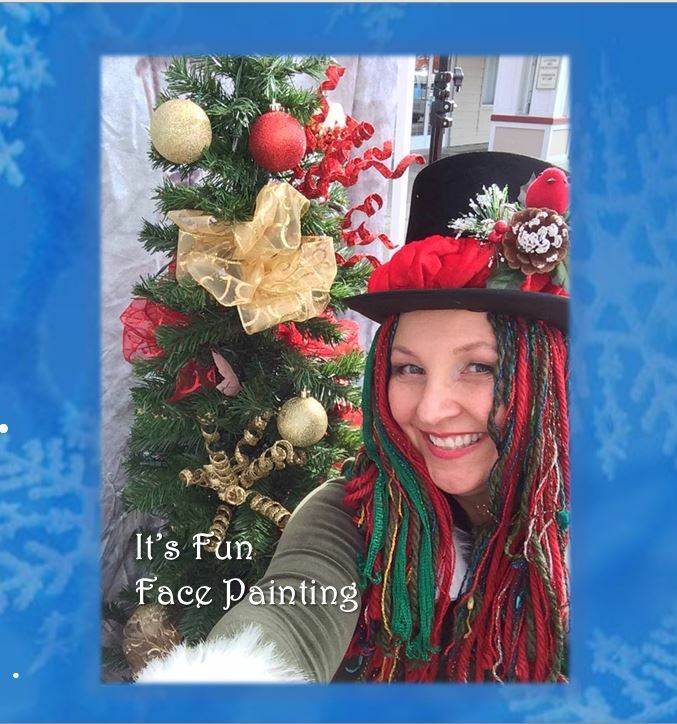 Hosted Face Painting, Snow Play Park ( with real snow) Music, Hot Chocolate and Free Photos with Santa !